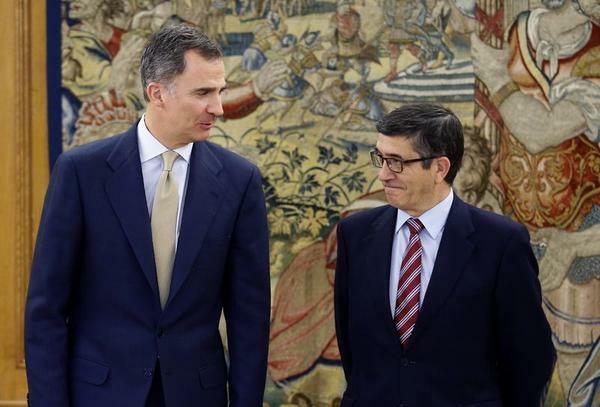 How Can Spain Break Its Electoral Gridlock? 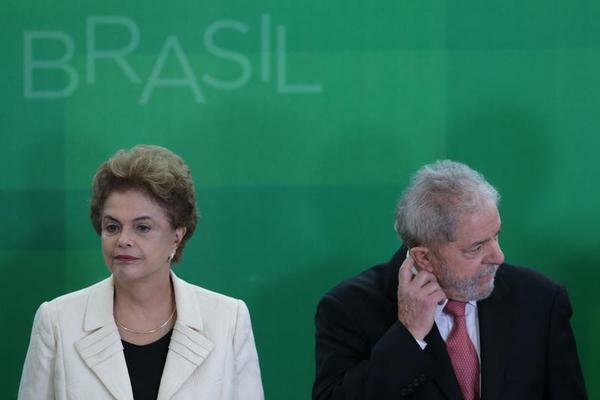 Could Brazil's Left Zig-Zag to a Comeback? Russia's Military Modernization: Where Next? 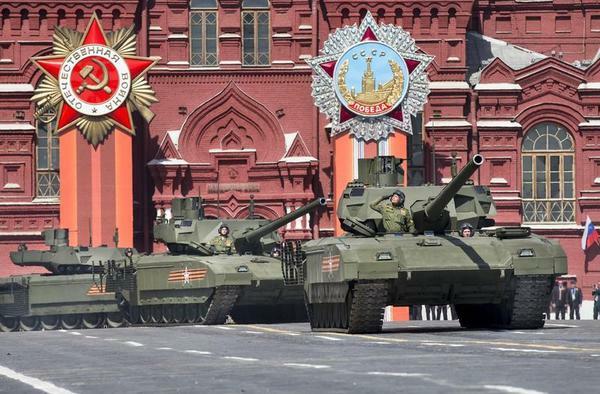 Following years of rumors, and its initial showing during a military parade in Moscow last year, Russia's newest battle tank, the Armata, continues to make headlines. The Uralvagonzavod factory tabbed to produce the machine announced recently that it could produce an unmanned Armata as well, calling such a tank the weapon of the future. The famous military production plant already has experience with unmanned machines -- it produces a robotic fire truck on the basis of the T-72 battle tank. According to plant management, mass production of the newest manned Armata tanks could begin later this year -- field testing is well underway. Uralvagonzavod will be busy in the coming years as it answers numerous government orders for the production, modernization, and upgrade of a broad selection of military equipment. The orders include T-72B3 tanks, BMP-2 armored vehicles, MSTA 2S19M1 self-propelled artillery systems, BTR-82AM armored personnel carriers, airborne combat vehicles, and other products -- all told, the factory will deliver more than 1,400 vehicles to the Russian armed forces. The worsening state of the Russian economy is under increasing scrutiny, as are divinations of its meaning for the Russian regime. Most prognostications stop short of issuing a verdict on the future of the Russian state should its economy plunge even further. Despite a state of affairs that would alarm a truly Western-style economy, the Russian economy continues to function, and even shows short spikes of growth in the face of the broad sanctions imposed on Russia. While arguments in favor of Russian stability in the face of continued economic instability are probably correct, many analysts in the former Soviet Union are nonetheless ringing alarm bells as the Russian economic outlook continues to darken, without any significant rebound or restructuring of an economy whose health depends on the price of oil. Ukrainian daily Obozrevatel.ua published an analysis that concentrates on Russian so-called mono-cities. These are single-industry towns with one dominant employer, usually an industrial plant or a factory that depended on state orders in Soviet days and continues to depend on Moscow today. "What is particularly frightening," reads the analysis, "and may cause a collapse in such company towns, is a difficult post-Soviet legacy, where, after 30 years from the beginning of perestroika under (former President Mikhail) Gorbachev, nothing was done. Such towns will simply stop functioning, as happened in Pikalevo in the Leningrad region in 2008. Back then, Putin put out the fires singlehandedly, having arrived there by helicopter, calling on (industrialist and state enterprise manager) Oleg Deripaska, forcing him to sign a document on the resumption of production at known loss-making enterprises." Similar situations, and the plight of towns such as Tver, where Carriage Works industries stopped all production for two months in 2015 and the Kremlin had to buy off protest leaders, are also noted in the analysis. "In such single-industry towns, unlike in Europe and the United States, Russian labor mobility tends to be zero. People cannot change their place of residence, and people will start losing their jobs because their companies will stop paying and go bankrupt. "In this world nothing can be said to be certain, except death and taxes," wrote Benjamin Franklin. That truism seems a bit less true after the Panama Papers exposed one of the biggest tax dodging scandals in history. The reveals from the Panamanian law firm Mossack Fonseca showed that yes, death is inevitable, but some of us can avoid taxes. It is time to bury what lies at the heart of the problem: tax competition. "The problem is bad laws." That is what U.S. President Barack Obama said in response to the Panama Papers revelations about companies and people engaging in tax evasion and avoidance. Obama perfectly encapsulated what lies at the heart of the problem: that it is made possible by laws drafted by politicians. Lawmakers are the enablers. Many smaller countries in Europe such as the Netherlands, Luxembourg, Belgium, and Liechtenstein, to name but a few, have in the past decades made tax avoidance legal. Bigger countries carry the blame too -- countries such as Great Britain, with its Virgin Islands, or the United States, with Delaware and Connecticut, or China with its Hong Kong territory, or Singapore with, well, Singapore. This is without mentioning some African nations, which appear to be the next refuge for dark money. The Panama Papers scandal sheds a bright light on something morally untenable in society, which is that if you have enough money, you can avoid paying taxes. Will Israel Reach Age 100? The State of Israel turns 68 next month. Is Israel doomed? Will bad demography, bad neighbors, and bad Israeli behavior turn the once hopeful and idealistic notion of a thriving Jewish democratic state into a veritable Middle Eastern Sparta -- isolated in the international community and struggling to survive in a hostile region even as it occupies a restless and growing Palestinian majority? Having worked the Israel issue for half a dozen secretaries of state, I certainly wouldn't want to minimize the challenges Israelis face at home and abroad. Still -- and I concede up front that the view from Washington, DC isn't the same as the one from Jerusalem -- I'm more convinced than ever that Israel is here to stay. I may not be around to mark Israel's 100th birthday. But Israelis will. And here's why. Highly Functioning State: The region in which Israel lives is melting down at a rate no one would have anticipated. Indeed, if there are any state disappearing acts, these may be on the Arab, not the Israeli, side. States such as Libya, Yemen, and Syria are fragmenting, while dysfunctional states such as Iraq, Lebanon, and Egypt are saddled with political, economic, and identity challenges they just can't overcome. 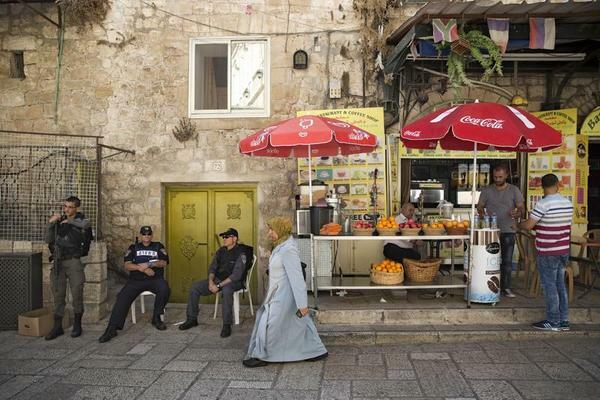 In short, with the exception of the Arab monarchs, a good part of the Arab world, including many of Israel's traditional adversaries, have gone offline. It was off the radar screen for some time but it looks to return with a vengeance this summer: the Greek Question about debt relief. 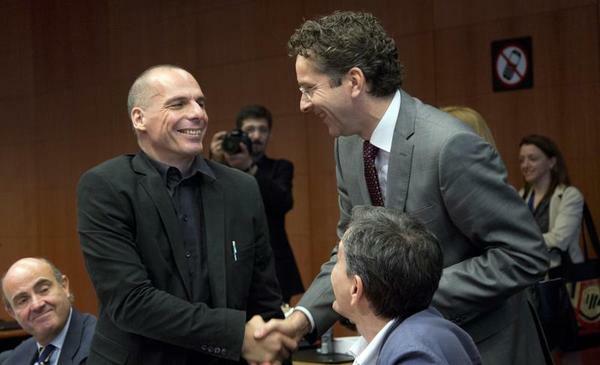 Pressure is on eurozone nations to finally write off some of the debt Athens owes them but cannot easily pay back. "We will get every cent back, with interest." That is what German Chancellor Angela Merkel and other heads of state of northern eurozone countries promised their voters when they loaned money to Greece. The Greeks then used that money to pay off loans to German and Northern European banks, so as to prevent a so-called credit event -- a default -- that would have reverberated throughout Europe, potentially causing the collapse of Southern European banks and economies. European sanctions against Russia are set to expire on July 31, barring a unanimous vote to extend them the next time EU heads of state meet. 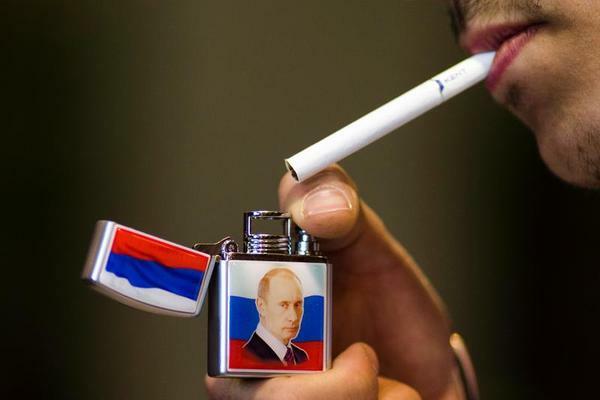 Russia has developed several ways to influence Europeans. Over the long term, Moscow has chosen economic diplomacy, while also supporting any movement that seeks to unravel European integration and disrupt Transatlantic links. This support covers all kinds of actions: from funding European far-right parties, to supporting roundtables focused on issues of national self-determination, to fostering dialogue on national spiritual awakening -- especially in those countries where Russia can involve the Orthodox Church in the debate. These measures are of little help in the short run -- they are not designed to round up citizen support to press governments to lift EU sanctions in July. 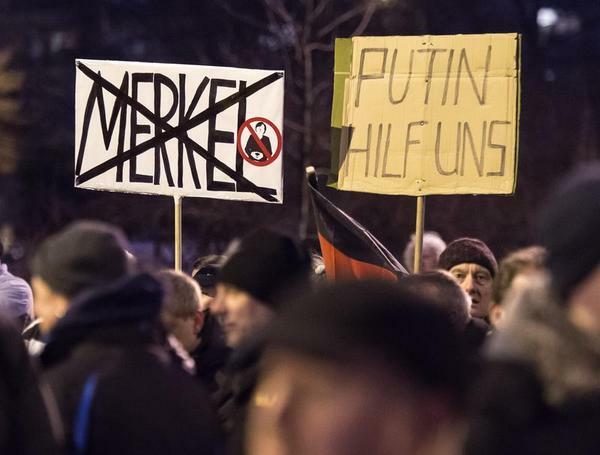 The only way Russia can change the European perception of its actions is through, well, the actions themselves. And we can see Moscow starting to change tack. The first positive reports in the Western mainstream media about Russian operations in Syria came after the liberation of Palmyra. Before that happened, on March 24 U.S. Secretary John Kerry met Russian Foreign Minister Sergei Lavrov in Moscow to discuss Syria and Ukraine. The meeting validated the idea that Russia's involvement in the two conflicts has in fact been linked from the very beginning. 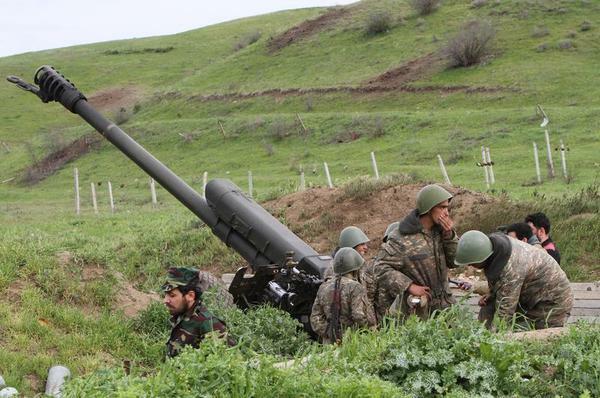 The conflict in Nagorno-Karabakh now presents Moscow with its latest opportunity to create a better image for Russia in the eyes of the Europeans - again, through its actions. The Kremlin used its intervention in Syria to bolster the perception of a strong Russia - and a weakened United States - and that perception, it hoped, would change the dynamics in Eastern Europe. This was the greater value-added to the genuine interest that Moscow had in Syria itself. Moscow intervened after the anti-Assad coalition failed to take hold and the Islamic State had risen to prominence. Syrian President Bashar al Assad was certainly preferable to the thought of an Islamic State that could reach Damascus, but the United States was unable to reverse its earlier posture that Assad must go. In a way, Washington needed to allow Russia's show of defying American wishes. 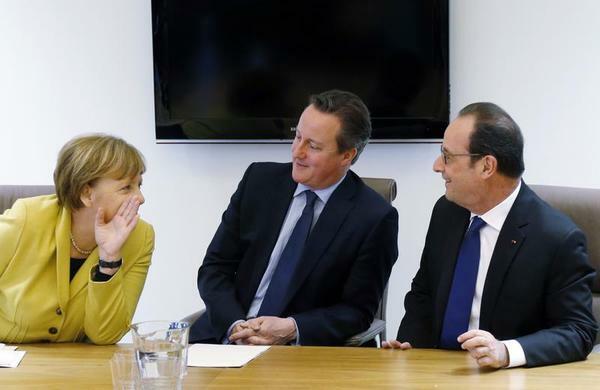 Putin took the chance, and in so doing he put Ukraine back on the negotiation table. Russia's recent withdrawal from Syria had much to do with events on Russian borders. Putin needed approach talks about Ukraine from a position of strength, considering Russian interests in keeping Ukraine out of Western military alliances on one hand, and unfreezing economic relations with the European Union on the other. Seeing Palmyra liberated, and issuing the public announcement just days after the meeting between Lavrov and Kerry, plays as a splendid PR exercise. Tensions between Ukraine and Russia show no signs of abating, and Ukrainian President Petro Poroshenko was unsparing when he recently criticized Russia for destabilizing his country. Speaking on March 25 at a government meeting marking the creation of the Ukrainian Security Service, or SBU, Poroshenko said that of the more than 200 terrorist attacks prevented by Ukraine in 2015, most were prepared in Russia. The president said such attacks were meant to to destabilize the political situation in the country and were planned for Kiev, Odessa, Nikolaev, Kherson, Zaporizhzhya, Kharkiv, and Lviv -- the nation's major cities and regions. "The attacks ... are a key element of the hybrid war that is now being waged against our country," Poroshenko stressed. 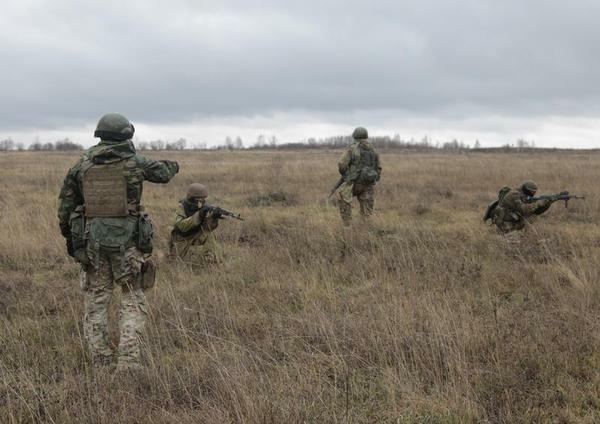 Ukrainian security services are successfully countering such attacks "by being effective in the information campaign and presenting to society sufficiently convincing evidence of the effectiveness of their work. The Ukrainian people today have something to thank the SBU for," Poroshenko summed up. Victory or defeat in war is often as much psychological as it is military. Military forces fight to impose their wills, and at a certain moment, even if the weapons are not yet silent, one side or the other loses heart. Its will to resist breaks, and defeat becomes a matter of time. Arguably, we are getting to that point in the war against the so-called Islamic State group. Classical military theory broadly emphasizes that the battlefield advantage lies with the defenders, because defense requires fewer soldiers and weapons to hold positions than the attacker needs in order to overrun them. But when ISIS swept out of northern Syria two years ago, they staged a blitzkrieg offensive, replete with sophisticated strategy and tactics, including unprecedented barbaric treatment of soldiers and civilians to win through terror as well as by weapons. The ISIS onslaught was in effect a months-long rolling surprise attack on disorganized, demoralized, poorly equipped, internally divided adversaries. Syria and Iraq had been battlefields in failed-state territories even before ISIS arrived on the scene. ISIS just took advantage of the chaos. ISIS thus had the initial advantage. 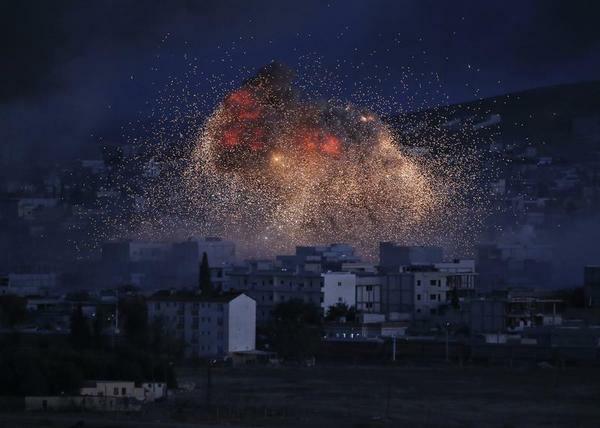 But once its initial rampage was stopped, beginning with Kobani in February 2015, the battlefield turned into a stalemate. Effective counter-attacks began on Islamic State positions late last year. Armed with conventional weapons and no air force, ISIS was soon put on the defensive. Battlefield momentum changed. Vastly outnumbered and outgunned, the Islamic State's military was bound to lose, because even with the advantages of defense (including the barbaric use of human shields), it was totally outnumbered and outgunned. ISIS turned out to be much overrated as a military force capable of sustained warfare. Its resilience lay always more in the fervor, commitment, and reckless courage of its fighters than in its numbers and military capacity. From the battle for Kobani onward, the Islamic State has been regularly beaten in ground engagements. There were still a few victories (for example, taking Palmyra) but by the end of 2015 one could see that the Islamic State group was going down. Weeks before President Obama's arrival in Havana, uneasiness was already perceptible in the ranks of the Cuban government. For sure, President Raul Castro knew how much his regime could benefit from a historic event that would signal, better than anything else, the thaw in U.S.-Cuba relations. He was no less aware, however, of the risks associated with hosting an American president who was intent on openly defending the cause of human rights and liberty during his journey. 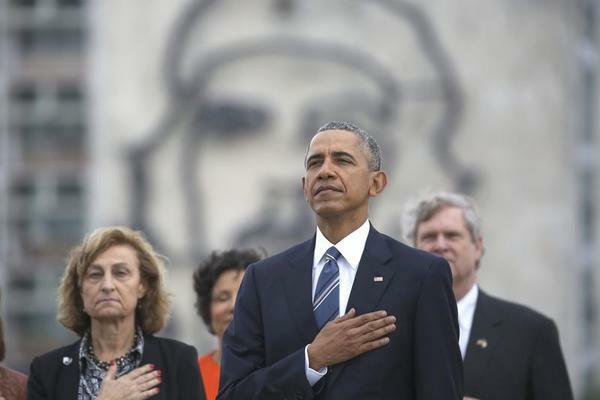 The ruling government's anxiety was all the more understandable considering that a poll carried out in April 2015 found President Obama's popularity among Cubans (80 percent) soaring well overhead that of the Castro brothers (47 percent for Raul and 44 percent for Fidel). To unnerve the regime further still, there was Obama's sine qua non condition for visiting the island, namely: to be able to meet with representatives of the Cuban dissidence, including the Ladies in White, who are beaten and detained practically every Sunday after they take to the streets of Havana and other major cities of the island to call for freedom of expression and association. Compelled to tolerate the meeting requested by Obama, the Cuban authorities attempted to dilute its impact by pressing the U.S. negotiators to include regime-picked representatives of so-called civil society -- a move that would enable the Cuban government to infiltrate its pawns and police informers into that gathering. Obama's negotiators, however, made it clear that the list was non-negotiable: only the Cubans chosen by U.S. authorities would be invited to the meeting. Several days after the terrorist mayhem in Brussels, reflection on how the attacks could happen is in full swing. Part of the answer: Belgian politicians simply don't care about the safety of their citizens. 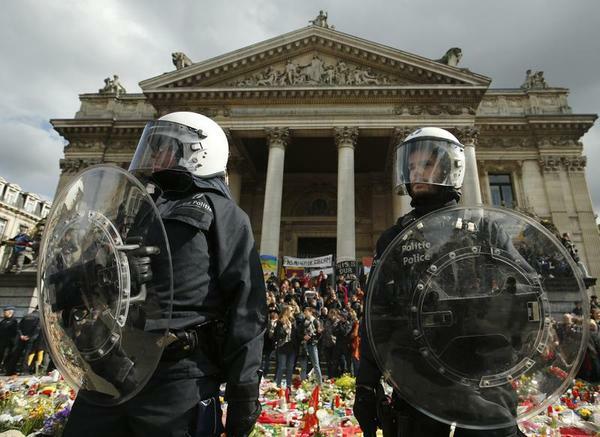 Ever since the Paris terrorist attacks of November 2015, and the leading roles Belgians played in them, Europe and the Belgians have wondered why so many of the leading perpetrators hailed from one quarter in Brussels. When the questions were answered, security experts across the globe were left baffled when they found out that the Brussels agglomeration counts no fewer than 19 separate municipalities. The mayors rule over police forces divided over 6 police zones. Of course, many factors are at play. But since the devastating attacks this week in Brussels itself, many stories have surfaced about dysfunctional police bureaucracy. Anti-EU pundits and publications were quick to compare Belgium with the bureaucratic European Union. In the near future, Ukraine plans to conduct test launches of domestically produced ballistic missiles built without the involvement of foreign companies, said National Security and Defense Council Secretary Oleksandr Turchinov in an interview with Interfax-Ukraine news agency. 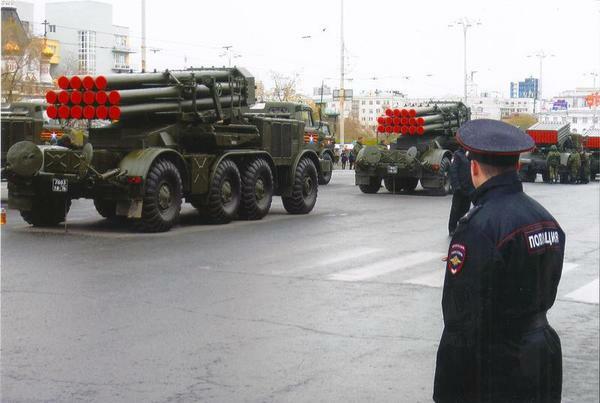 According to Turchinov, resuscitating the domestic missile industry is a priority for Ukrainian authorities. "We need to develop as a space-faring nation, producing high-tech spacecraft, but we also need to restore the necessary production line of combat missiles that will protect the country," added the secretary. "We will soon carry out test launches of missiles of indigenous production, created by exclusively Ukrainian enterprises." My daily digest of reading this morning started on a troubling if relatively speculative note. As a naturalized Dutch citizen living in the United Kingdom, I take a personal as well as professional interest in Britain's June 23 vote on whether to remain in the European Union. This article in the Financial Times encapsulated the concerns of the 2.9 million EU citizens living here, as it described a rush on applications for British citizenship by long-time residents hoping to avoid their status being subject to "negotiations between the UK and Brussels" in the event of a so-called Brexit. I'll come back to that topic in proper context. No sooner was that article digested than Twitter feeds, smartphone alerts, and front pages across the web began to blaze with the news of just the latest vicious attack on Europe's open forums. 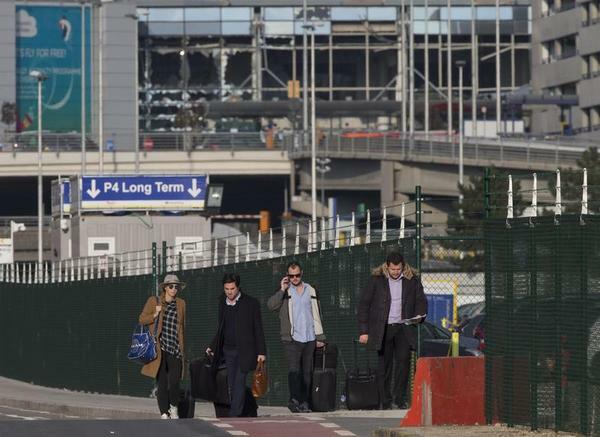 The details are still coming in now, three-quarters of a workday later, with the latest updates being the inevitable claim of responsibility by the Islamic State group, and the disarming, reported by AP, of a third bomb at Zaventem Airport. Brexit suddenly mattered very little. What mattered, instead, was the safety of friends and colleagues in Brussels. Messages fly across WhatsApp, status updates on Facebook. The defiant face of the Je Suis social media emblem popularized when Paris was attacked last year turns to an acerbic grimace. This is the new normal, and it's sinking in. Projecting further down the line, we in Europe consider our daily commutes -- the trains connecting Utrecht to Amsterdam or Amsterdam to Brussels, or the Eurostar that flies the flag of white-collar European integration under the English Channel between Paris and London -- every journey, every day, is its own small risk. It is a secular reality that is not changing any time soon. Where security is no longer a given, the politics will only turn ever more sour. Brussels is a synecdoche. Anyone who has ever spent any time in the Belgian and European capital knows the hopes it physically embodies: With its smart, polyglot mix of workers from across the Continent populating the areas around Schuman Square where the European institutions have their home, it gives credence to the ideal of a Europe that works better when it builds together, if you'll excuse the sloganeering. In its own smaller, grittier way, it is as vibrant as London or New York, and every bit as intelligent. Kazakhstan has long been a model of post-Soviet cooperation with Moscow and a cornerstone of the Kremlin's plan for a Eurasian economic block drawing on the allegiance former Soviet states have to their onetime motherland, or the Russian Federation. 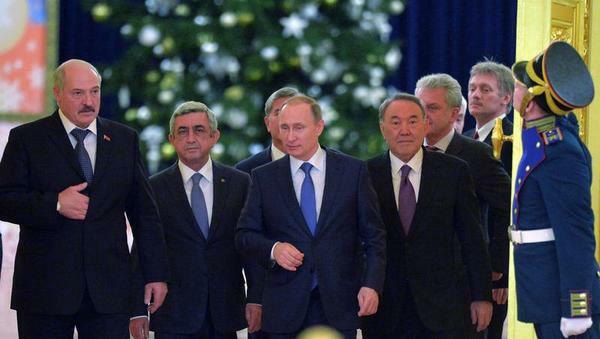 President Nursultan Nazarbayev is the only leader the littoral Caspian state has ever had. Nazarbayev gained power for good in 1990 as the Soviet Union collapsed, and he stayed firmly ensconced at the top through suppression of the political opposition. Today the Russian-Kazakh relationship is one of Moscow's closest in terms of post-Soviet leadership. However, there are troubles ahead for this cozy alliance. Nazarbayev is aging, and his health is failing. There is no clarity on who will succeed him, says Alexandre Mansourov, adjunct professor at the John Hopkins School of Advanced International Studies and at the Security Studies program at Georgetown University. Nazarbayev's daughter, as well as the current prime minister, Karim Massimov, have been floated as possible successors, but neither is seen as reliable to the Kremlin. The next leader of Kazakhstan will most likely be less pro-Russian and more open to better relations with China or engagement with Europe, an outcome that is Moscow's worst nightmare. Russia has invested a great deal of diplomacy into the development of the Eurasian Economic Union,or EEU. President Vladimir Putin has seen this economic alliance as a way to further his efforts to bring back the economic and political power of the Soviet Union -- without the communism, and controlled of course by Russia. The EEU also has the benefit of preventing prior Soviet satellites from migrating their allegiances to the West. Nazarbayev himself suggested the creation of the entity in 1994 while giving a speech in Moscow, but has refrained from allowing further political integration out of concern for Kazakh sovereignty. The Kremlin really can't afford for a successor in Kazakhstan to be less friendly to Russia or more oriented to other places economically, as the rationale for the union would fall apart. Hence the Kremlin's dilemma in Kazakhstan, and Moscow's efforts to lock in as much Eurasian economic integration as possible before Nazarbayev's passing. The relationship with Belarus -- the only other major state in the EEU -- is tenuous as well for Moscow. Belarus also has more political integration with Moscow in the Union State arrangement. Armenia and Kyrgyzstan are minor players in the economic block. 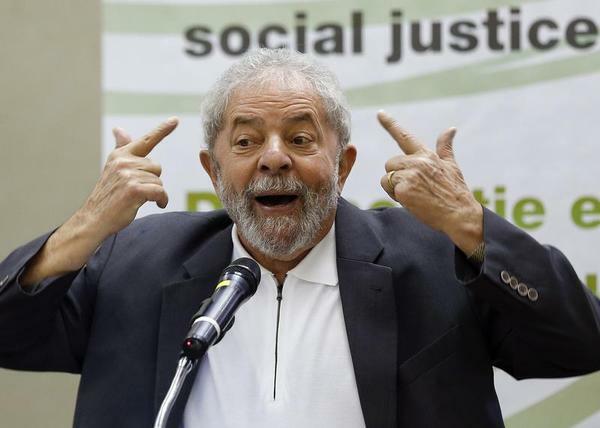 These are hard times for Latin America's populist left, the one that, inspired by the Castro model, was brought to power at the dawn of the present century by Hugo Chavez in Venezuela and Luiz Inacio Lula da Silva in Brazil. After claiming the moral high ground for years, it sees its popularity and electoral weight shrinking by the day. In Argentina, the hard-left Cristina Fernandez de Kirchner handed over the country's presidency to the pro-market Mauricio Macri, after the latter defeated the candidate of Ms. Kirchner's party in elections held last December. Around the same time, Venezuela's regime, led by President Nicolas Maduro, Chavez's uncharismatic handpicked heir, was dealt a crushing blow at the parliamentary elections held on Dec. 6. More recently, Bolivian President Evo Morales lost a referendum that he organized to allow him to stand for a fourth consecutive term in office. In Ecuador, President Rafael Correa's popularity fell in 2015, from 60 to 41 percent. More worrisome for him, in a poll conducted last December, 60 percent of respondents said the country is on the wrong track and 72 percent regarded as "incorrect" the way the government has been dealing with economic problems. In Brazil, Lula's successor, President Dilma Rousseff, has an approval rating at an abysmal 11 percent, the lowest in Brazil's contemporary history, while 56 percent call for her resignation. 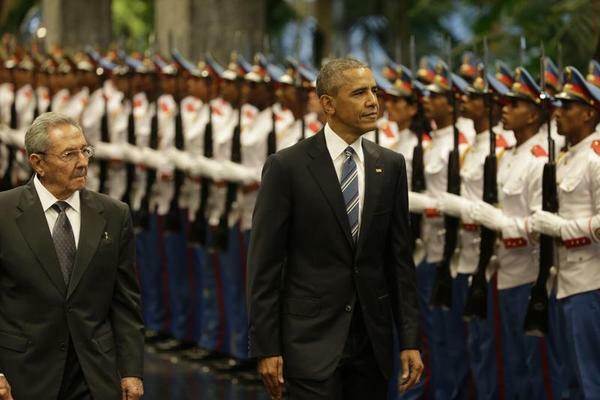 The U.S. president had not set foot in Cuba when the regime began to drop rhetorical bombs. First came a long editorial in Granma. Its essence? That Cuba won't budge an inch from its socialist and anti-imperialist positions, including its support for the Chavismo it spawned in Venezuela, an enormous source of subsidy for the Cubans, of woe for the Venezuelans, and of unease for its neighbors. Then, Foreign Minister Bruno Rodríguez, the Castros' diplomatic errand boy, warned that his government would not appreciate it if Obama spoke about empowering the Cuban people. Or if the United States tried to impose the Internet on the Cubans. Cuba, he said, "will protect the technological sovereignty of our networks." In plain language he meant that the political police will continue to control communications. They live for that and make a living from that. The U.S. president was undeterred. He will speak openly about human rights on his visit to Cuba. He has said so and will do so. 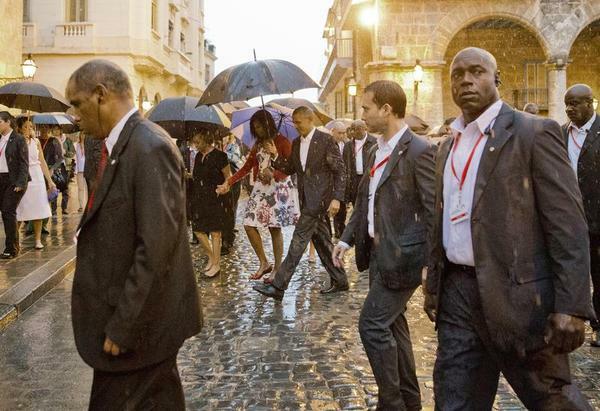 But there's more: Barack Obama apparently won't visit Fidel Castro. (Caution: Never say never about this dictator.) At least for now, he will downplay the anthropological curiosity that this elderly tyrannosaurus always arouses. Today, Fidel is a slouched caricature of himself, but there is a certain morbidity in talking with a historical figure who has managed to spend 60 years flitting through TV newscasts. Besides, Obama will be generous enough to meet with some of the democrats in the opposition. There's a whole message there. It's a good lesson for Mauricio Macri, who has still not gone to Cuba, and for François Hollande, who went through Havana and didn't have the civic valor to perform a gesture of solidarity with the dissidents. Obama will meet with the hard-liners. He will place his arm over the shoulders of the fighters, the most abused and the most seasoned. Those whom the political police describes falsely as terrorists and CIA agents. The EU's Deal With Turkey: What Comes Next? Turkey and the European Union achieved a Herculean feat, finally sealing a deal that has been in the works since October. According to the agreement, Syrian refugees fleeing to the Continent via Turkish-Greek waters will be sent back to Turkey. With this, European leaders hope to put a stop to the hitherto unstoppable influx of asylum seekers from the Syrian civil war. However, now comes the hardest part, one at which the European Union has in the recent past proven incredibly inept: actually executing the agreement. Starting this Sunday, Syrian refugees reaching Greek shores will be processed in Greece and then sent back to Turkey. From there, the deal stipulates, the European Union will take refugees and redistribute them among the member states that are willing to accept them. This will happen according to the so-called 1-for-1 rule demanded by Ankara: For each refugee taken back by Turkey, another one will be taken in by an EU member state. 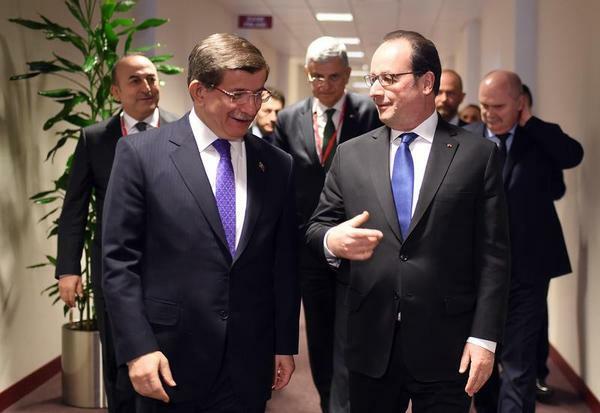 The goal of the deal with Turkey is to stem and regulate the flow of asylum seekers. The deal should also allow the European Union and Turkey to better distinguish proper war refugees from migrants fleeing economic and social hardship in other countries. Once Syrian refugees understand that there is no point in fleeing to Greece, as they will be sent back to Turkey anyway, they will stop undertaking the perilous journey to Greece -- so goes the reasoning. On paper, this should turn Turkey into one big, EU-financed refugee camp. Of course, this assumes the erratic Turkish President Recep Tayyip Erdogan will not use refugees as a tool to blackmail the European Union into accepting new demands.